Used Mazda MX-5 Review - 2015-present | What Car? 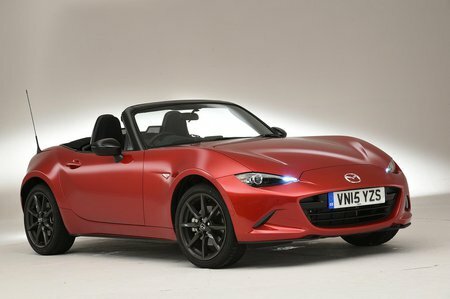 What's the used Mazda MX-5 sports like? Fun. That would be the best way to describe the Mazda MX-5. It exists as an enthusiast’s car, but an enthusiast’s car with concessions to the real world, where fuel prices are high, parking spaces are tight and road space is limited. None of these things holds the MX-5 back; it’s an entertaining car for all situations. Weight – or a lack of – is key to the MX-5 being as good as it is to drive. You see, being relatively light, the car doesn’t need stiff dampers, springs and anti-roll bars to control body movement in corners. This means you can have a nimble car – especially important on winding country B-roads – without compromising its ride quality. It might be a little tauter than the original MX-5, but this latest generation is still very supple, especially on the smallest 16in alloy wheels available with the 1.5-litre engine. You might think an engine that small has no place in a sports car, but that lack of weight means that, even with a modest 129bhp, you can still enjoy brisk acceleration. There is also a 2.0-litre engine with 158bhp (it also has a limited-slip differential that helps with cornering). If you want a bit more performance, though, the BMW Z4, especially earlier cars with a six-cylinder engine, would be a strong alternative. 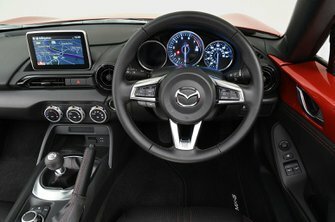 Inside the MX-5, you get two snug seats, a stubby gearlever (there’s an auto, too, if you want it) and a hood that can be neatly folded away in a single arm movement. It’s not the most spacious two-seat convertible, though, and some owners have criticised the lack of storage space. With only a small cubby in the centre console and a shallow tray in front of the gearlever, you can understand their point. There are also two small glovebox-sized storage spaces behind the front seats, but you have to get out of the seats before you can access them. The good news is that boot space is unaffected by the roof being up or down. Bad news is that while you can fit a couple of overnight bags in there, the opening is rather narrow. How narrow? Well, a set of golf clubs will not fit. If you need more practicality, the Mini Convertible, with two extra seats, might be worth considering. For a sports car with a modicum of practicality and penny-pinching fuel costs, the MX-5 has few equals. If you want fun, then it is almost unsurpassed. If you can put up with the limited storage space and narrow boot opening, there really is no finer small sports car.